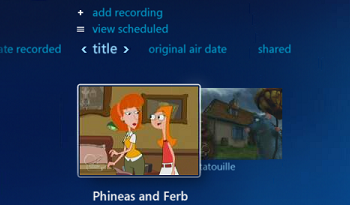 I’m still on the Windows 7 Media Center journey that I started describing earlier. With the addition of an IR Blaster I can now get through the channel setup and record from cable. I don’t see the listings again for my antenna, but that will have to wait. All we had to do was change that indicator at the top to any other sort method, and the programs appeared. Duh! This entry was posted in aha, tech, tips&tricks, windows and tagged MediaCenter, Windows7 on August 17, 2010 by karl.kranich.